Colors can help define your home’s ambiance and make it stand out in your neighborhood. Choosing the perfect shade of paint, however, may not be as easy as it sounds, especially with the wide array of colors available. Read on as Serpaco Painting, a siding contractor in the area, shares some tips on picking the right exterior paint color for your home. Stay true to your home’s architectural design when choosing the best exterior paint color. Victorian homes, for instance, are in demand for their bright, layered paint colors. Craftsman home styles, on the other hand, often sport warmer tones. For modern homes, neutral shades, such as white, ivory, tan and brown, are the most popular. You don’t have to pick over-the-top colors to make your home noticeable. Sometimes, it’s best to blend with the rest of the neighborhood, especially when there are certain rules about the exterior paint colors you can use. For sure, you don’t want your home to look out-of-place in your area because of its exaggerated wall paint. One of the biggest mistakes homeowners do is they tend to pick the same color for their roof and wall instead of creating a contrast between the two. This often makes a home appear monochromatic and dull. To avoid this problem, pick a shade of paint that works well with the existing colors and components of your exterior. You may also ask your carpentry services provider for suggestions. Color wheels and fans are a handy paint tool that can help you decide which tones suit your home’s exterior design. You may also request from your contractor pint-size samplers to test the paint. Note that printed colors are sometimes different from the actual shades, so getting a paint tester gives you insight into what to expect with a product. 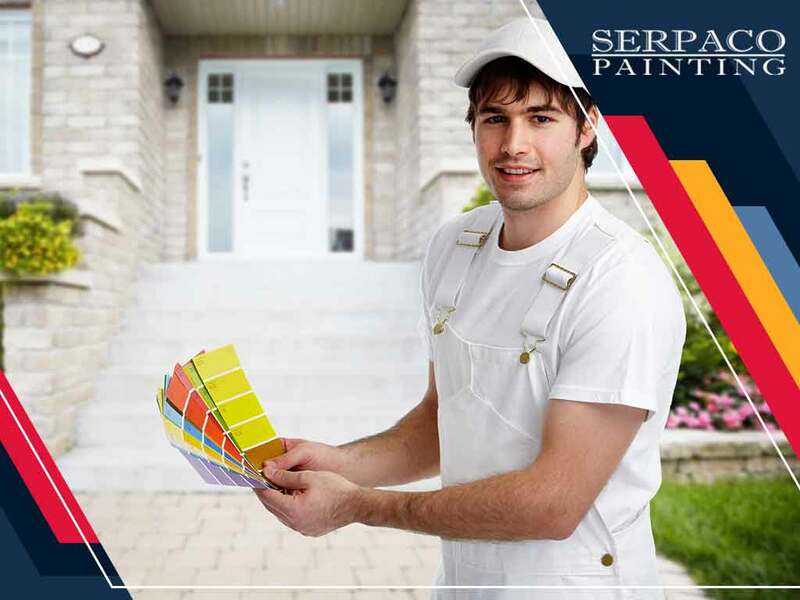 Serpaco Painting offers painting and custom carpentry services to help reinvigorate your home’s look. Call us today at (704) 215-4992. We serve residents of North Carolina, including Charlotte and Greensboro, NC.